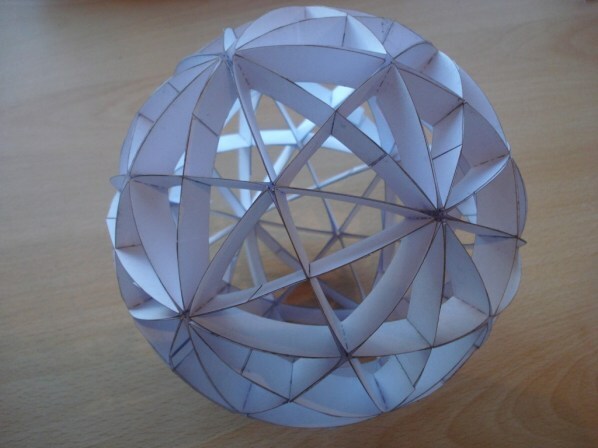 Fuller also devised a delightfully simple method to fold four great circles forming the edges of a spherical cuboctahedron from four circles of paper. 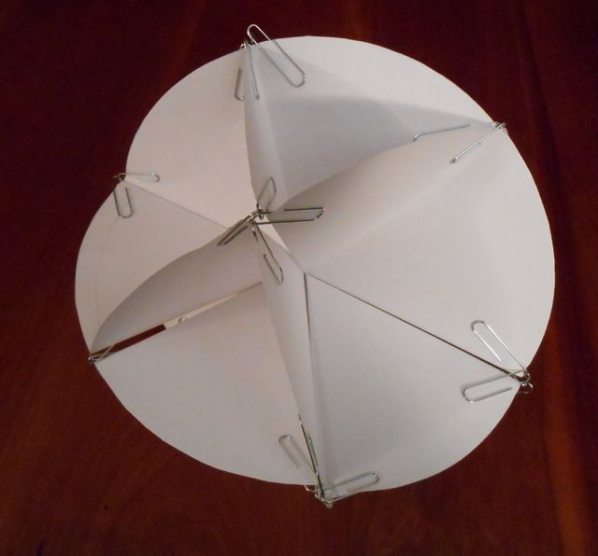 It took me about fifteen minutes to produce a model using this method, with a compass, four sheets of copier paper, and forty paper clips. 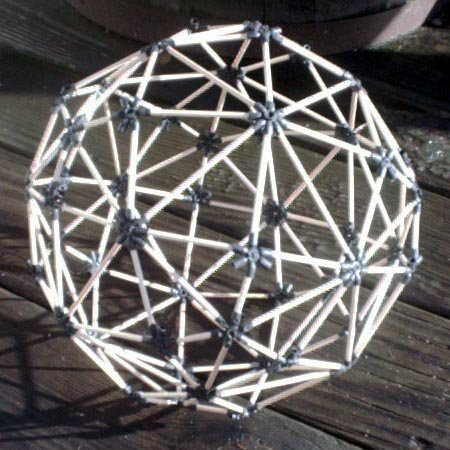 As a result, the web abounds with a variety of Fuller-inspired great circle constructions, such as this one consisting of 13 great circles, built by Bob Burkhardt using the classic 1960s geometrical construction toy, D-Stix. 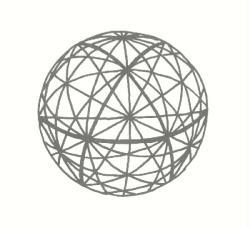 And now Math Monday has inspired a new addition to this sphere of constructions. 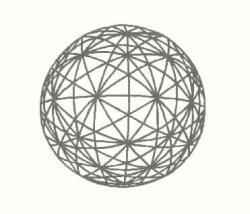 In that earlier column, I suggested building an arrangement of 15 great circles. Reader Martin Raynsford took up the challenge, producing the following lovely model from cardstock, laser-cut, folded, and glued: Martin has graciously provided complete plans on his blog. Note how he has carefully divided up the cells so that each segment consists precisely of two thicknesses of the cardstock, and no two seams are back-to-back, for a very uniform finished product. And who knows: Will the trend toward greater circles continue with a construction of either of the two designs at the beginning of this column? Send pictures to mondays@momath.org of any worthy math-making you engage in or encounter! This article first appeared on Make: Online, November 5, 2012.